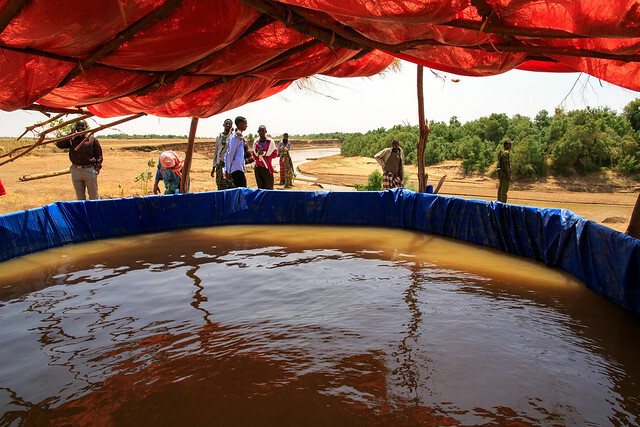 In rural Ethiopia, women and children can walk up to six hours to collect clean water. The Truth About Collecting Water in Ethiopia Africa Where Walking Up to Six Hours to Collect Water is not unusual. Ethiopia has one of Africa’s lowest rates of access to water supply, and sanitation despite abundant surface and groundwater resources. Ethiopia's main health problem is the spread of disease caused by poor water and sanitation. During the dry-season more traditional sources of water are placed under pressure as shallow wells or other permanent sources dry-up. Ethiopia’s 96 million people, 86.5 million people or 83 percent live in rural areas. A vast majority of Ethiopia’s population lacks adequate access to safe water and proper sanitation facilities. That is 49 million people or 51% lack safe water and 76 million or 79% have no sanitation services. At most, 49 percent of people have access to safe water, while proper sanitation facilities are available to about 21 percent. Inadequate access to safe water and sanitation services negatively impact health and productivity, especially that of children. To help reach this goal, leading US-based non-governmental organizations working in water and sanitation formed the Millennium Water Alliance. From 2011-2015 the West Africa Water Supply, Sanitation and Hygiene Program or WASH Millennium Water Alliance goal is to provide water, sanitation and hygiene (WASH) services to approximately 483,000 people; including 83,000 students in 90 schools. Since 2006, the Conrad N. Hilton Foundation has awarded over $14 million to the Millennium Water Program.